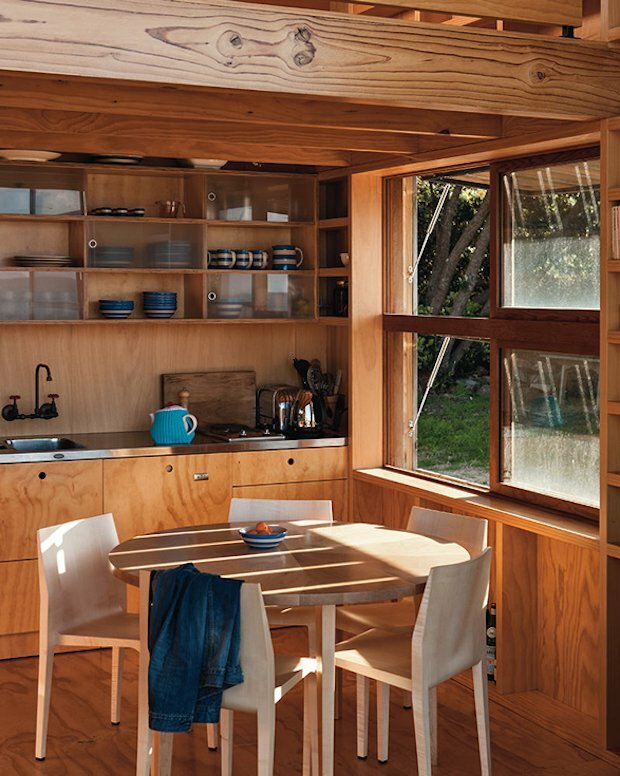 The Hut on Sleds is a tiny home located near Auckland, New Zealand. The sleds allow it to be towed to a safer area if the need arises. Overall, the home is given a beach-themed look with its appearance inspired by lifeguard towers. 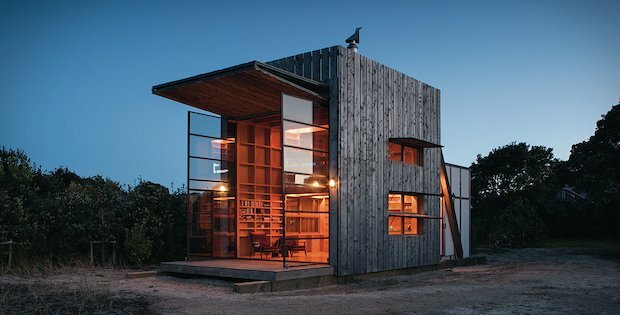 It can open up its large shutters to reveal tall glass doors that can also be opened to make the inside seamlessly merge with the outside. 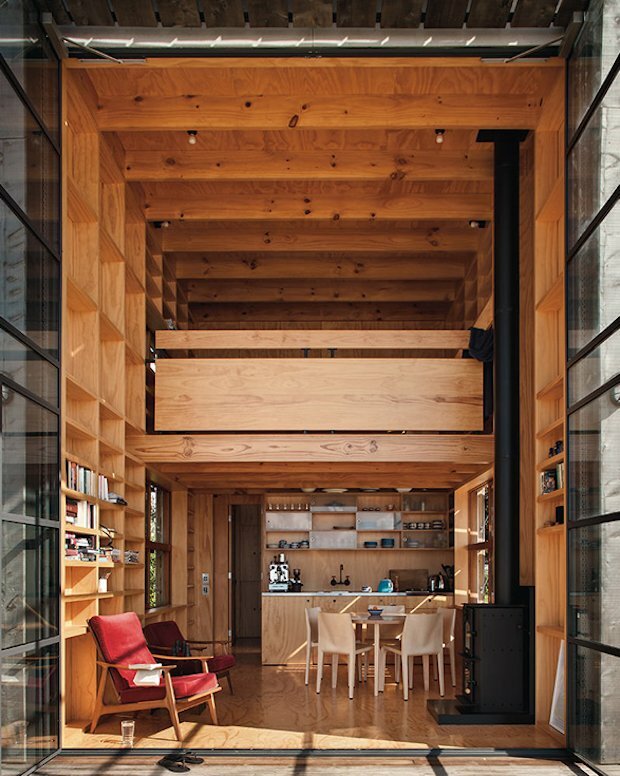 Inside is a spacious living area divided into the ground level and the mezzanine area. 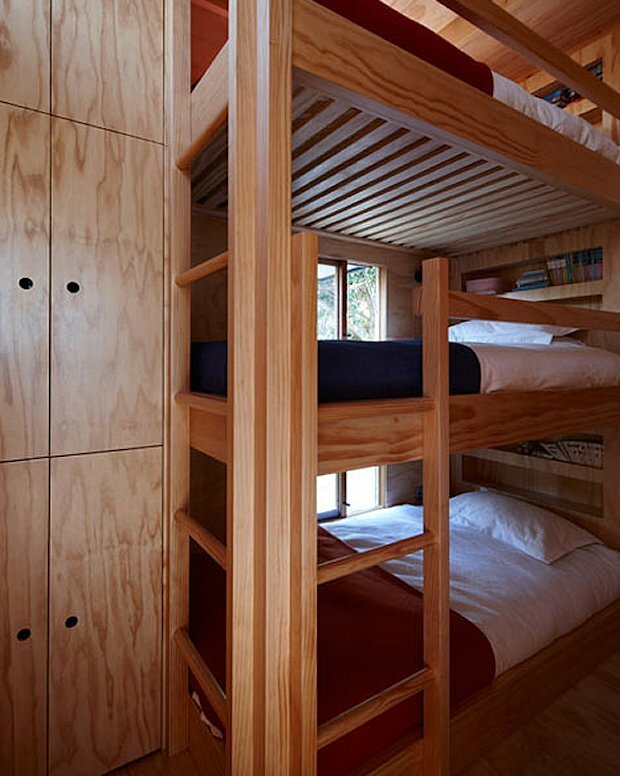 It may be small, but it can comfortably accommodate a family of up to five members. The fittings and mechanics are industrial and exposed giving the structure an industrial vibe that is both inviting and informative. 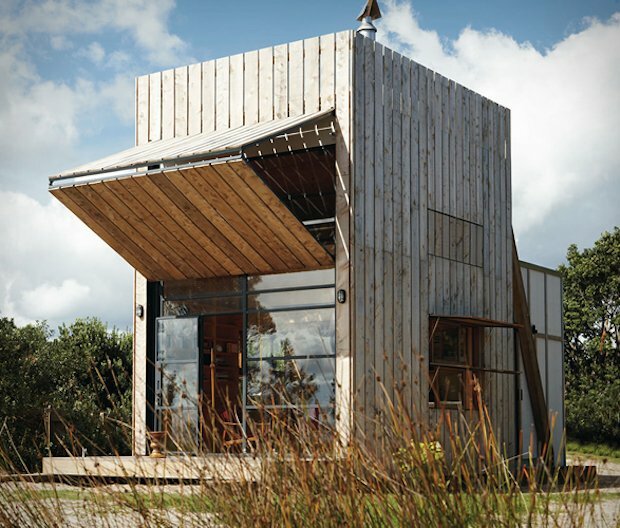 A huge shutter folds up across the exterior to reveal and shade a two-story glazed facade, which has an open-plan living room and mezzanine bedroom behind.